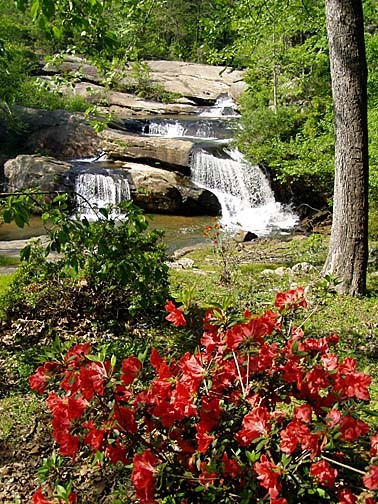 Chau-Ram (short for Chauga River and Ramsey Creek) is a pleasant 30-foot cascade located on Ramsey Creek in Oconee's Chau-Ram County Park just a few minutes west of Westminister. 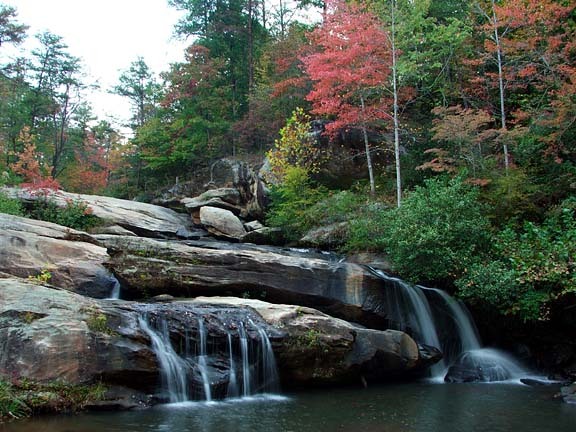 It's an easy-to-visit falls with great views for a picnic. You can also take a short hike, including a walk across a suspension bridge, to explore the park's trails and several rapids on the Chauga River. 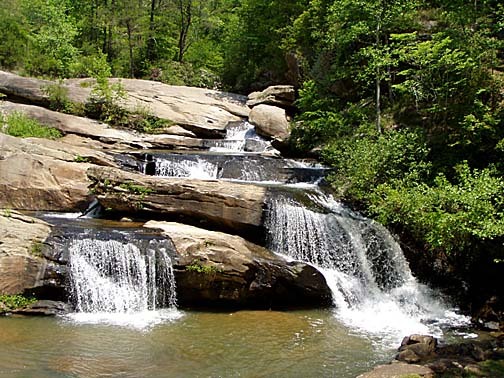 The park also offers an excellent campground that I have used numerous times as a base from which to explore area waterfalls. Directions: From Westminster, drive west on US 76 for three miles. Turn to left into Chau-Ram County Park.